You’re right, it’s an inversion of reality when a complete lunatic like this is not only being hired by NYT but actually defended in the media. You wouldn’t think she’d get a job anywhere with an attitude like hers. 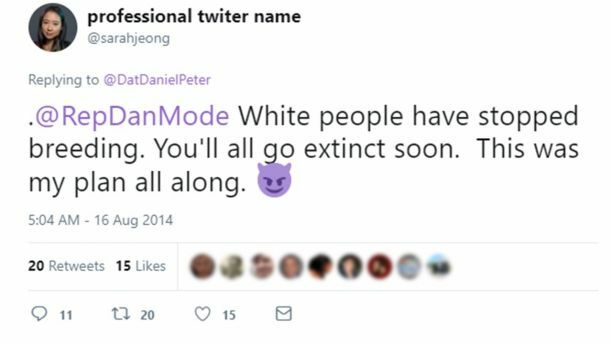 Yep, hating whites is perfectly ok. After all, the socialists are gonna liquidate all of us once they take power! Oh, except for the 200 million firearms & 10 billion rounds of ammunition red-state White Americans are stockpiled with and trained to use.